Which objects do we measure in CM or M? Following on from this videos we have posted around measurement in maths the other day here is another activity you can do looking at whether we would measure different objects in centimetres or metres. This is a long one, but hopefully worth the watch. This links to the videos I have been posting recently linked to the audio description Avengers project. 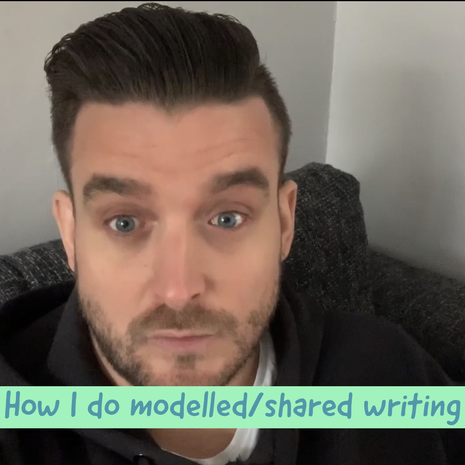 This video demonstrates how I do modelled/shared writing. It links in with the ReadWritePerform.com approach and Alan Peat's Exciting Sentences. We are exploring how the commenting tool in Seesaw is a powerful way to improve peer-to-peer feedback/assessment but also helps embed skills to be a responsible and positive digital citizen. Using the Activities tool in Seesaw. Building on from my previous post on Seesaw (please scroll back through and watch) this little video introduces the folders option and how your pupils can log in and evidence their own learning. This not only makes your life easier but gets the pupils to build independence and skills as digital citizens. Having finished our shape unit in maths (I will get round to posting what we did) we started our unit on Statistics. Using the guidance from the White Rose Maths hub, this was the lesson I did with Year 2 today. It is a step by step guide for how to use Seesaw to support children with their learning and remove barriers by allowing them to orally record their answers and ideas. An example of how to use Seesaw to improve reasoning in Maths. This example links the FREE Geoboard app. Supporting Dyslexic learners with comprehension through Seeing AI and Seesaw. This idea is working wonders for my sons, let me know what you think!